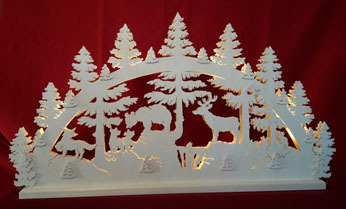 a breathtaking 3-dimensional silhouette. 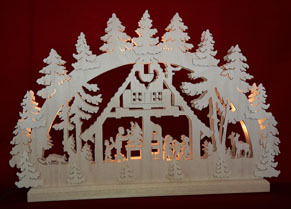 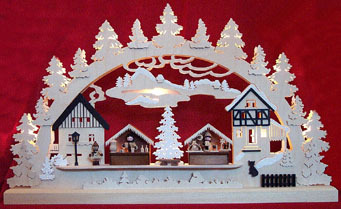 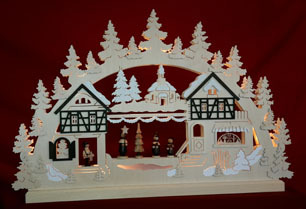 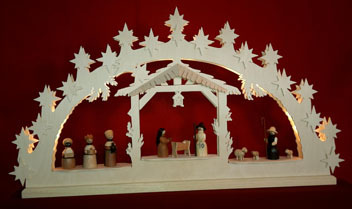 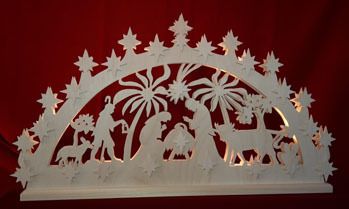 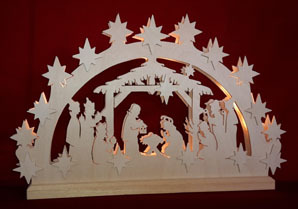 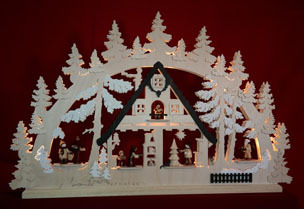 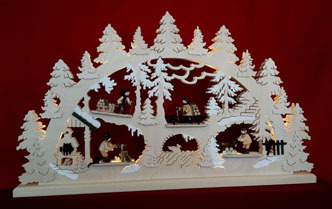 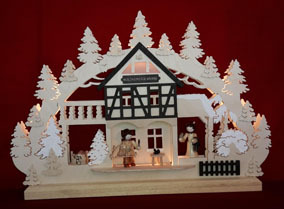 Some of these natural wood Christmas arch designs are familiar to anyone who has visited the Käthe Wohlfahrt (Kathe Wohlfahrt) Christmas stores in Germany. All designs are available in natural wood finish, many with decorative snow. 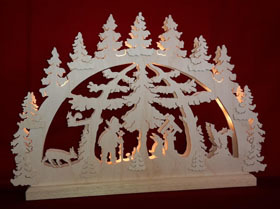 Several designs are also available in two sizes: small and large. 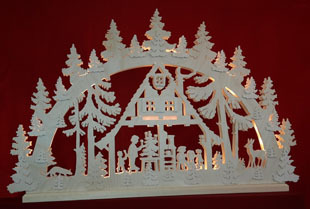 NOTE: In 2019 almost all arches now have LED lighting only. 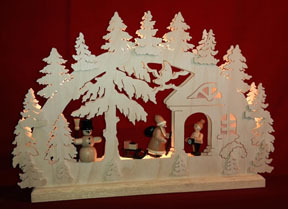 LED bulbs will never need to be replaced, and they use so little energy that you can leave them lit all season long!